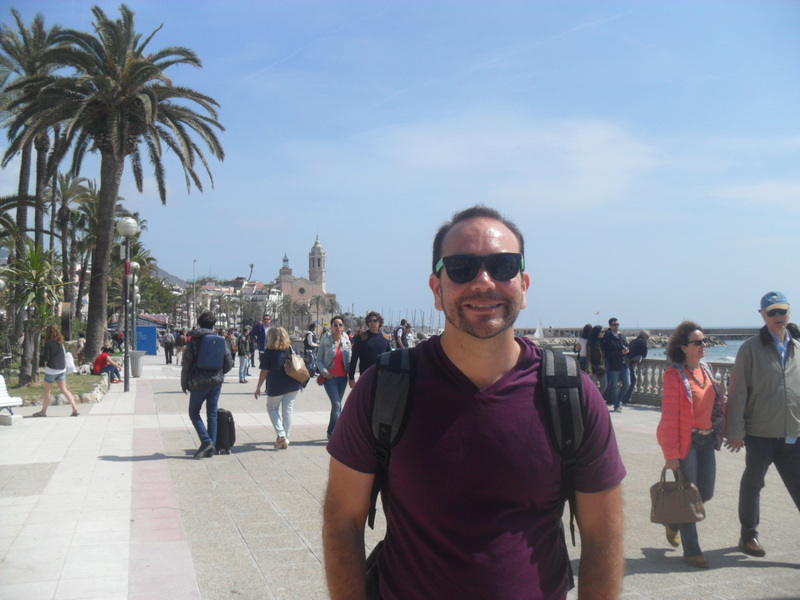 When my husband and I decided to return to Barcelona after four years we had initially planned on spending just under a week in Barcelona followed by Easter weekend in a nearby beach town called Sitges. 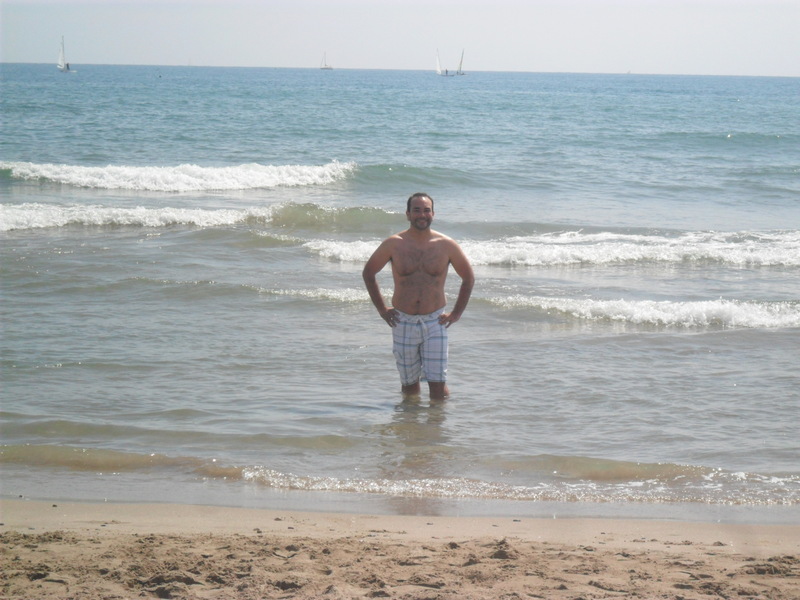 When we decided to also visit Seville our three days of staying in Sitges changed to two just two days trip from Barcelona to Sitges. 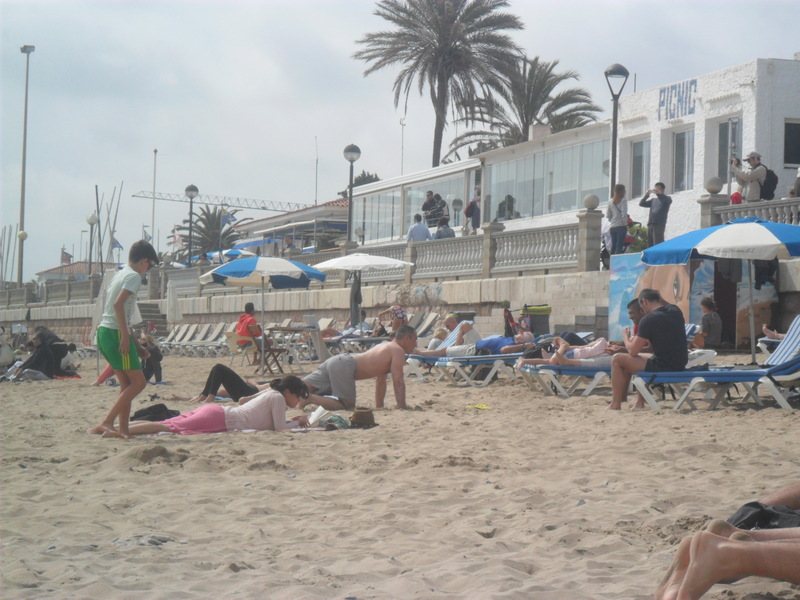 Then rain in the forecast changed our two day trips to Sitges into just one day trip. 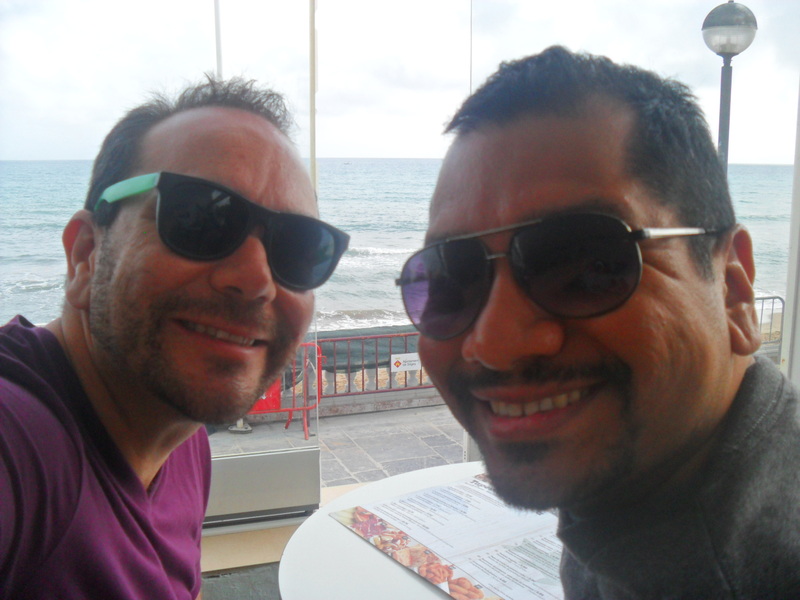 So that meant that the seventh day of our trip would be the only day we would spend in Sitges. After showering and eating breakfast we headed out. Since we were going outside of Barcelona on the train with the intention of spending some time at the beach we had to pack a very full backpack with a change of clothes in it. Normally I wouldn’t dare carry such a full backpack on the metro but we didn’t have a choice. I felt a little absurd carrying my backpack on the front. but I would have felt like a total fool if I had gotten something stolen out of it because I insisted on carrying it on the back. 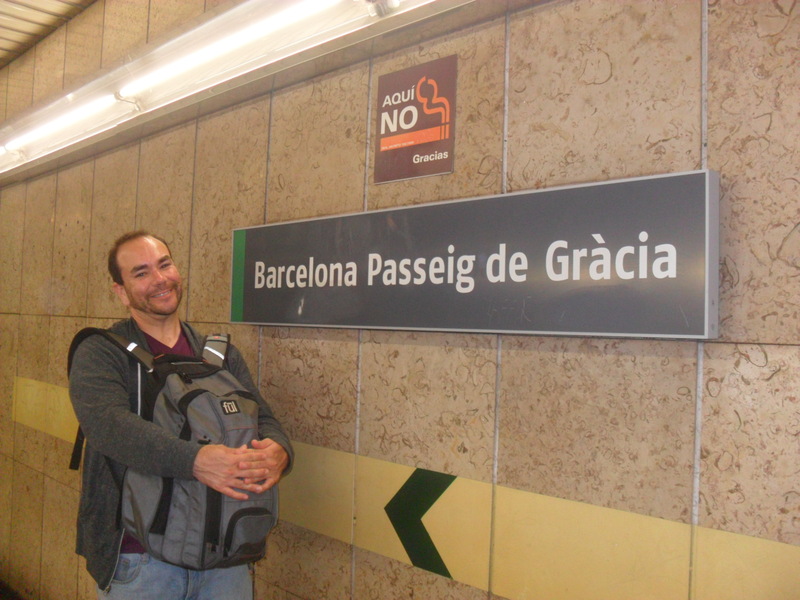 We took the metro to central Barcelona and the station of Passeig de Gracia where we purchased round trip tickets on the commuter train to go to Sitges. We had read that Easter weekend is a very big weekend in Spain for people to get away. That became apparent as we waited for the train. 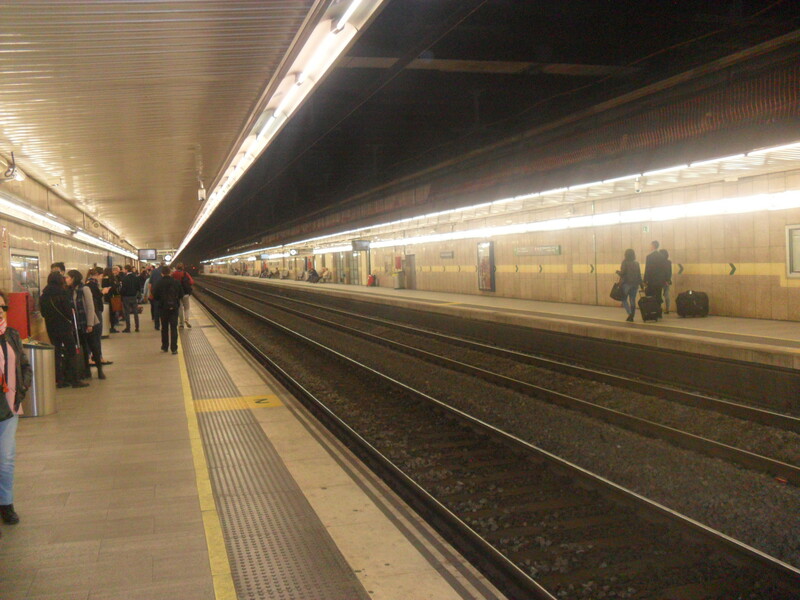 When we first got to the train platform there were very few people waiting. However, in the twenty minutes that we were waiting things filled up very quickly. The train was completely full of people heading out of the city for the holiday weekend. Thankfully we got a seat so we didn’t have to stand. 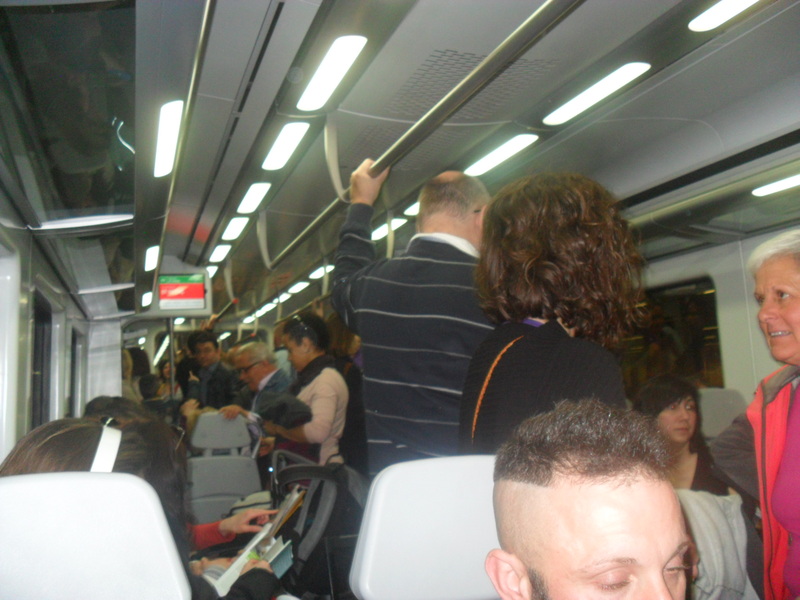 The train ride to Sitges was very nice. It was fun to get out of Barcelona and see a part of Spain we hadn’t seen before. 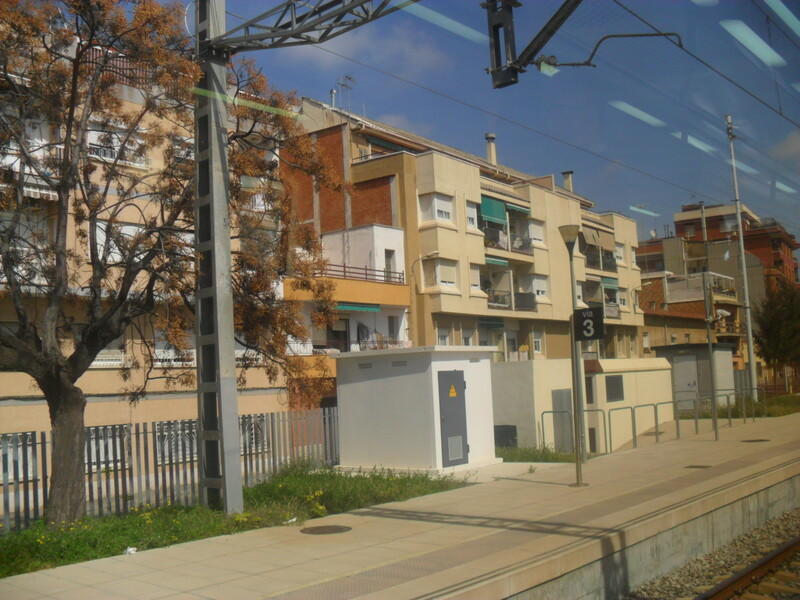 The train made a few stops in other beach communities before we got to Sitges. When we arrived at our destination we found that over half of the train was also headed to where we were headed so we had to battle the crowds as we got off the train. 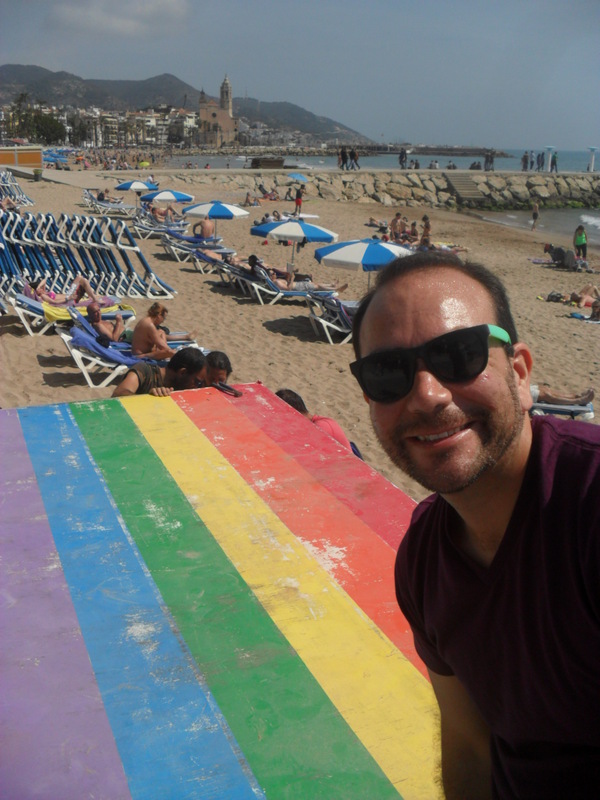 The main reason we decided to visit Sitges is because it is one of the biggest gay travel destinations in Europe and Easter weekend attracts a big crowds. After departing the train we needed a few minutes to get our bearings. We saw the visitors center but we didn’t go in ( a decision we would later end up regretting) because we figured it couldn’t be that hard to find the beach, which it wasn’t. After a few twists and turns we were down on the beach front. We found the gay section of the beach and picked out a spot. We had a fantastic couple of hours at the beach. The weather forecast called for rain late in the day but we were there early enough that you wouldn’t know it. It was so bright and sunny and beautiful and warm. In fact, it was warm enough that I decided to go for it and get all the way into the water. 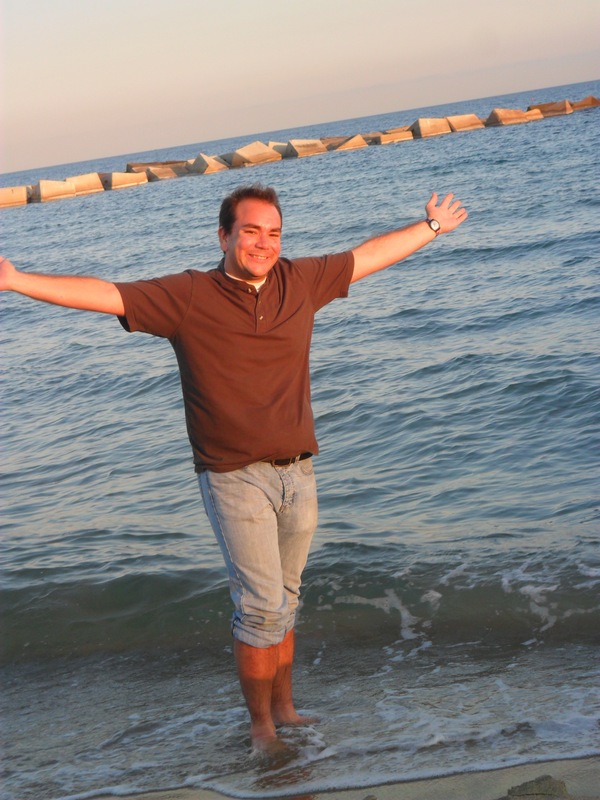 I had twice dipped my feet into the Mediterranean Sea. The first time was on our prior trip to Spain in 2011. The second time had been on the second day of our trip a few days before (check out my blog on that day of our trip https://jeremyochsgonzales.wordpress.com/2015/04/20/return-to-espana-day-2-beach-day/ ). However, I had never completely submerged myself. That day as I was in the water I knew I had to do it. There are no guarantees in life and as much as I love to travel and as much as I want to believe I will be back to the Mediterranean Sea I didn’t want to regret not getting in if I never go back. So I went all the way in and it was really, really cold. Some girls laughed at me as I made noises as I get deeper and deeper into the cold water but it was worth it. 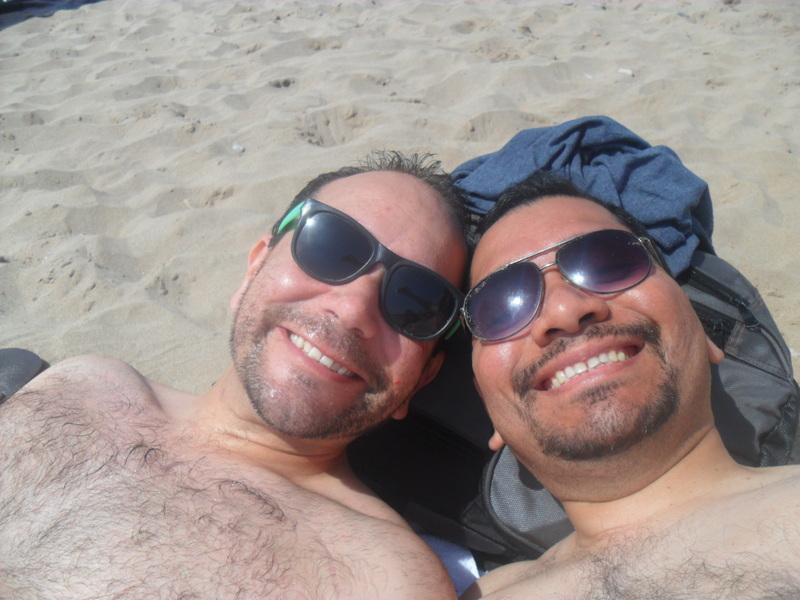 After getting out of the water my husband and I relaxed at the beach. And, of course, enjoyed some of the eye candy of the other guys at the beach. Then, all too soon, the clouds began to roll in. I could have easily stayed at the beach for at least another hour but the weather wouldn’t allow it. So we changed back into our jeans and walked around a little bit. We found the hotel where we had thought of staying just for the sake of knowing where it was. Both my husband and I revealed to each other that we silently thought about just booking a hotel for one night anyway since we were there. 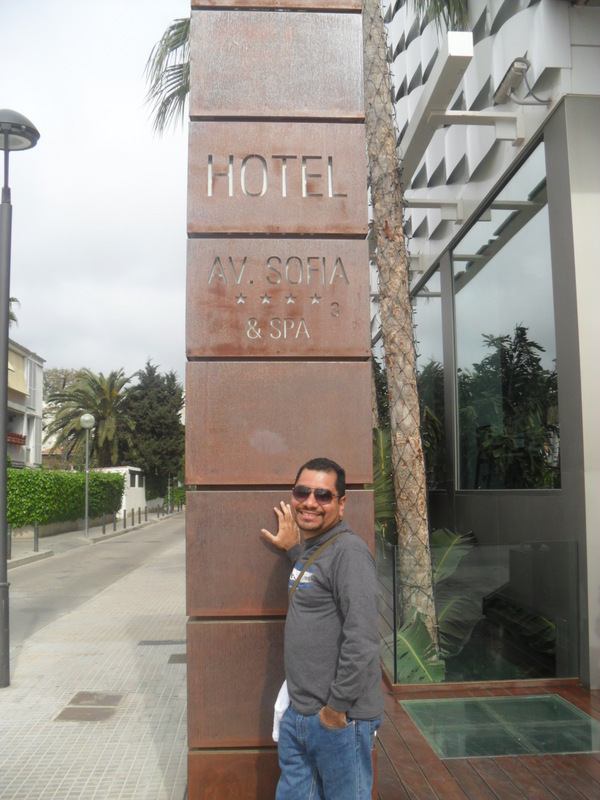 I love that we went to Seville but I think both of us really wish we could have spent at least one night in Sitges. We had a late lunch/early dinner a place right by the ocean. It was a nice view but a total tourist trap with its so-so food. After eating we looked around Sitges more. If we had been staying overnight I’m sure we would gone and hung out at one of the gay bars but we didn’t have time. 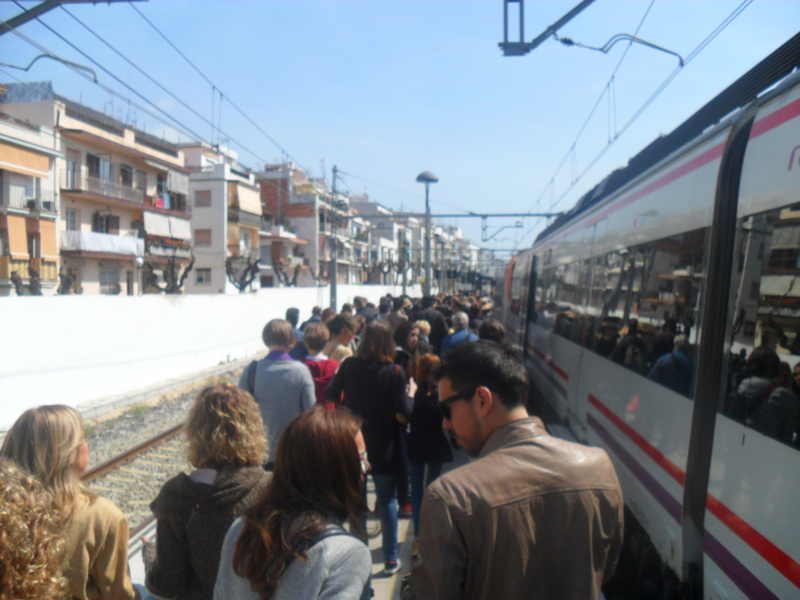 We had to take the train back to Barcelona. All we wanted to do was find a souvenir that said Sitges on it. This was when our disappointment about not going into the visitor’s center came into play. We wondered all over the place but the only adult t-shirts said Barcelona on them not Sitges. It turns out the visitor’s center had shirts but by that time they were closed. I did manage to find a workout hoodie I liked. It says Sitges 69 (get it?) and I can’t wait to wear it to gay pride. Unfortunately, my husband never found anything that he liked so we left Sitges without him getting a souvenir. As we headed back to the train station to catch the train to Barcelona I had to pee but I made the horrible mistake of not sneaking into a bar or restaurant to use their toilet. I figured I could go at the train station but at the train station we were told the restroom was on the train itself. Well, it turned out the restroom on the train was broken so the hour and a half it took to get from Sitges back to our hotel was very uncomfortable. I was really kicking myself for basically ruining my train ride back to Barcelona. When we got back to our hotel in Barcelona we decided to go to a gay spa. We were not impressed. It was rather seedy and not our cup of tea. The whole time we were there we talked about how we wished he had been able to stay in Sitges. Oh well, the one good thing about wanting more time in a place is that it forces you to return. 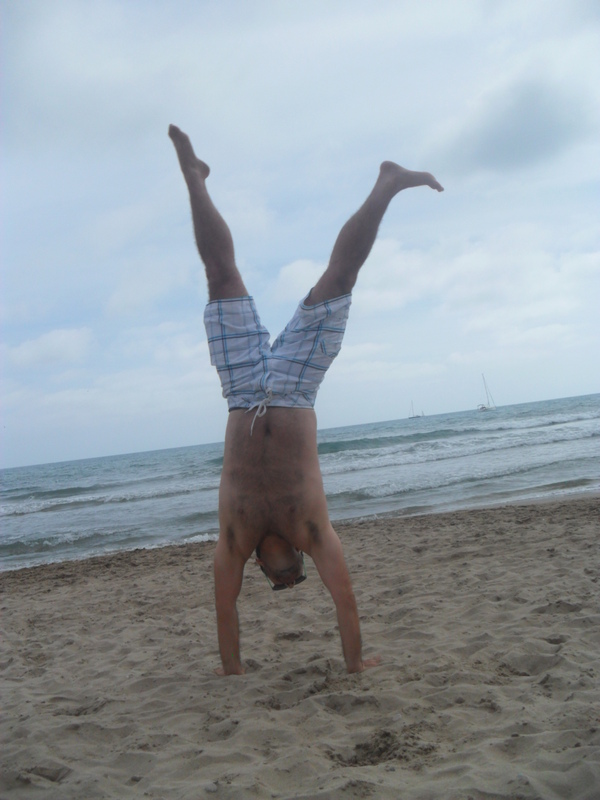 We will spend a full weekend in Sitges the next time. When we got back to our hotel to sleep we were a little sad. Not because it had been a bad day but because the next day was our last day in Barcelona.